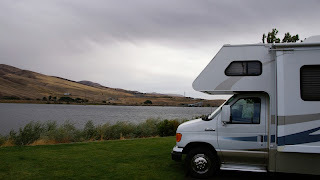 campervan rental: RV or Resort? You'd Be Surprised. Have a look at this article in the province.com- comparing an RV adventure with a stay at a mountain resort. While it's true that a resort will give you all the creature comforts of home and more, a well-equipped RV isn't too shabby in this department either- and it will get you closer to the action. Is the lack of satellite TV, wi-fi and hot tubs balanced by the proximity to the great outdoors, camaraderie with other campers and less money spent? The writer and his sons seem convinced! For RV rental in Canada, click here!